Gjorde Socca igår efter inspiration från den underbara matbloggen Vibrant Food Stories. Wow, så gott! Socca är en krispig crêpe gjord på kikärtsmjöl. Receptet hittar du hos Vibrant Food Stories här. Till topping kan man välja vad man vill. Jag hade vitlöksstekt spenat med iFraiche från Oatly och Abbas tångkaviar. Efter att ha börjat äta på Soccan la jag även till jalapeños vilket blev jättegott!
"" 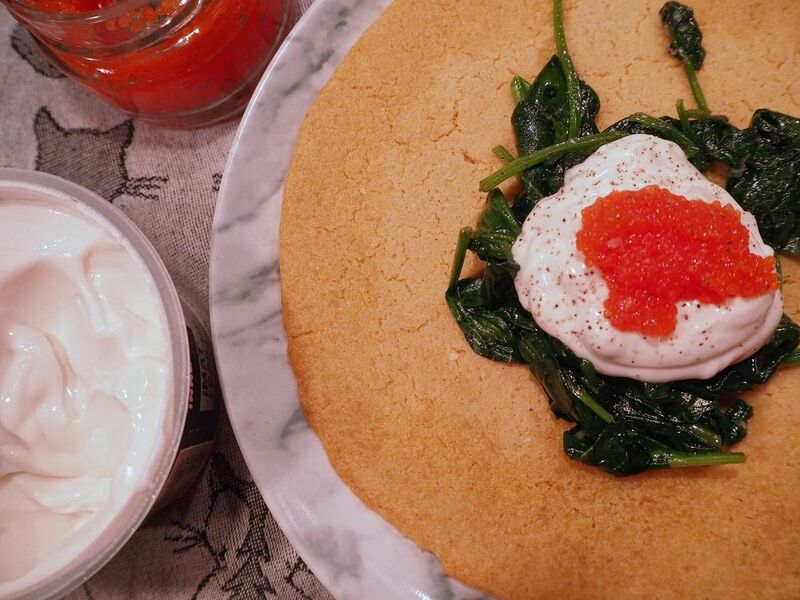 I made Socca yesterday inspired by the wonderful food blog Vibrant Food Stories and it was soo good! 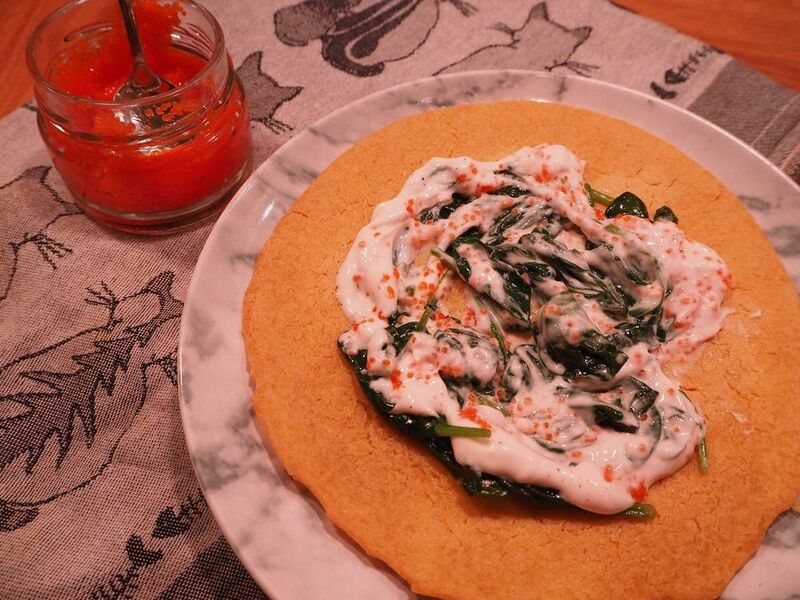 Socca is a crêpe made from chickpea flour. You find the recipe here on Vibrant Food Stories. You can use whatever you want for topping. I choose garlic fried spinach, iFraiche from Oatly and Abbas seaweed caviar. After I started eating the Socca I added some jalapeños which was spot on.""